Free repair of household items. Organized and hosted by the LaGrange Conservation Advisory Council to help the environment by reducing waste! Things to bring: Lamps, vacuums, toasters & other electrical/small appliances; chairs, picture frames, small tables & other wood items; clothing & textiles; computers & electronics! On May 4th, welder Vince Murray will offer metal repairs. Enjoy free coffee & cookies while you mingle with neighbors! Let us know if you have skills you'd like to share. 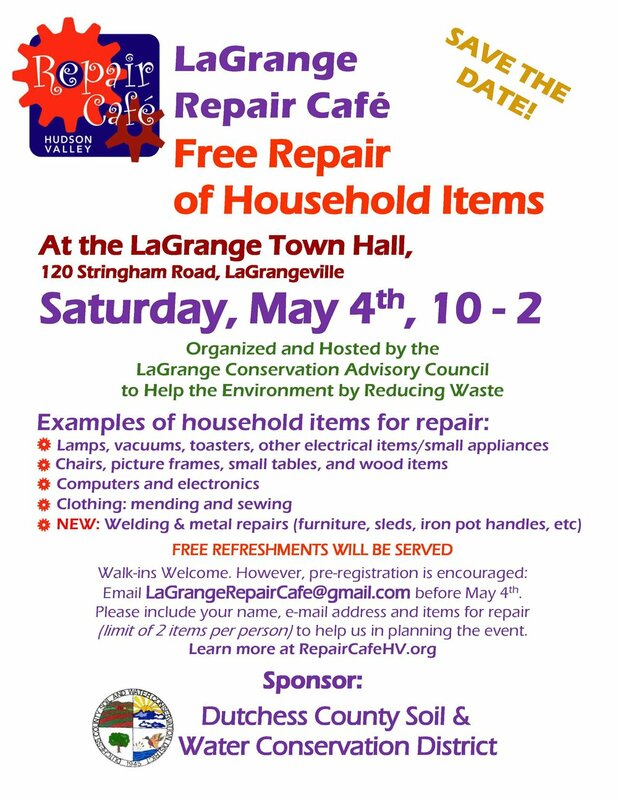 Please help us spread the word about LaGrange's Repair Cafe!